What is Solvit HomeAway Travel Organizer Kit for Pets? The Solvit HomeAway Travel Organizer Kit for Pets combines all the essential items your pet will need for a trip all in one place! 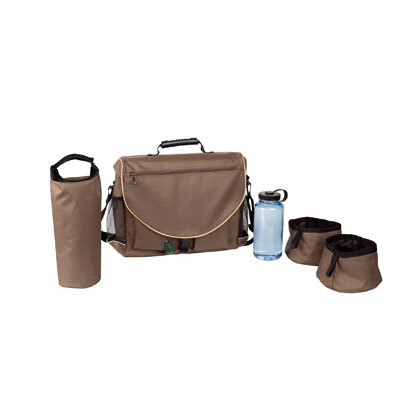 The Solvit HomeAway Travel Organizer Kit for Pets comes packed with a 1-liter water bottle, 2 collapsible food and water bowls, and a 10-cup food storage bag. 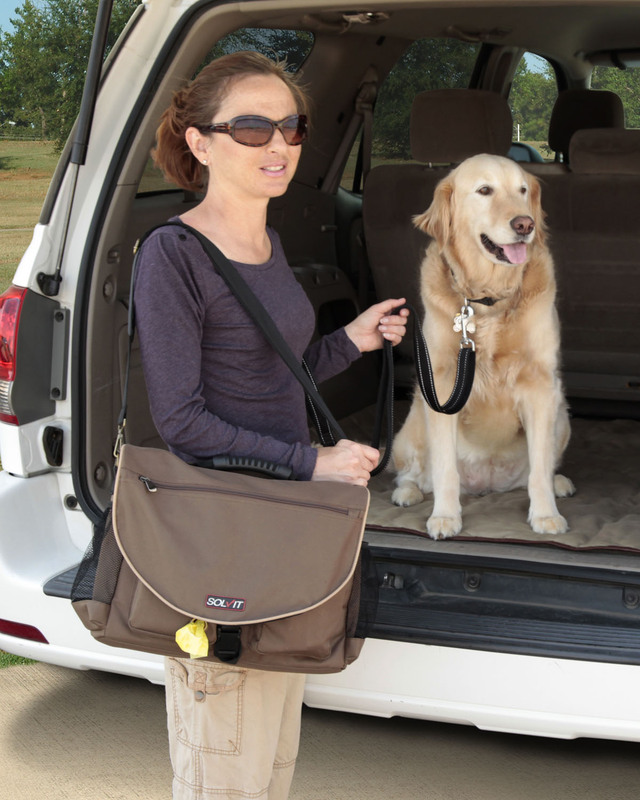 This organizer also can fit other essentials like a leash, toys, first aid supplies, toothbrush, and even has a "poopy" bag dispenser so you can easily pick up after your pet during pit stops. Whether you're just going away for the weekend, or on a longer trip, the Solvit HomeAway Travel Organizer Kit for Pets helps keep your pet's supplies organized and handy. 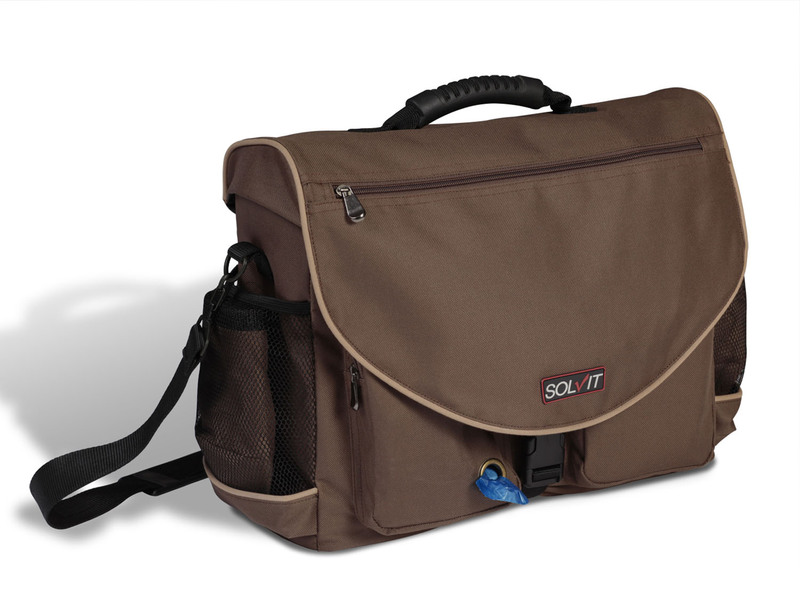 The Solvit HomeAway Travel Organizer Kit for Pets can be taken with you anywhere whether it's to the dog park or out of town. The 10-cup storage bag can hold enough food to feed a medium dog for 5 days (depending on your pet's food regimen), and the 2 waterproof bowls hold up to 8-cups of food or water, which means you can feed and water your pet anyplace and anytime. Also, keep your pet well-hydrated with the 1-liter water bottle that holds up to a full day's worth of water. Solvit HomeAway Travel Organizer Kit for Pets can be used for both dogs and cats and can fit most pet supplies like a leash, toy or even treats. 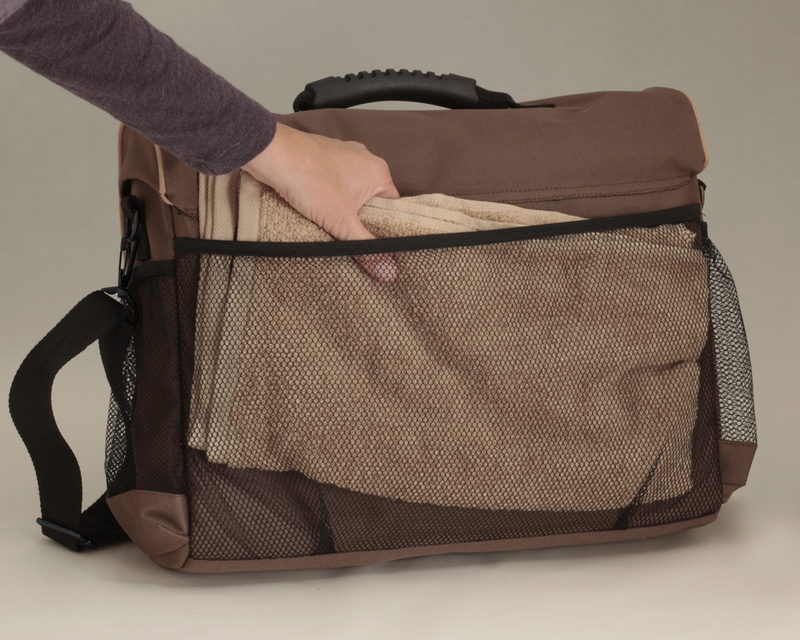 For overnight trips, you can stock your Solvit HomeAway Travel Organizer Kit for Pets with a blanket, brush, toothbrush and first aid supplies. In addition, you can pick up after your pet easily with the "poopy" bag dispenser located on the front of the Solvit HomeAway Travel Organizer Kit for Pets. For full instructions see the Solvit HomeAway Travel Organizer Kit for Pets Instruction Guide. Fill your Solvit HomeAway Travel Organizer Kit for Pets with food, treats and water for a full day away from home. For overnight trips, consider packing a brush, toothbrush, feeding mat, blanket, your pet's medications, and even first aid supplies. Using only dry food or water (no wet food) for the collapsible food and water bowls is recommended. All other supplies not included.